Chado Urasenke Tankokai Sydney Association Inc.
Art Directory > Artists > States > New South Wales > Chado Urasenke Tankokai Sydney Association Inc.
Chado Urasenke Tankokai Sydney Association Inc. (Tea Ceremony) The Japanese Tea Ceremony (Chado) is a distillation of Japanese aesthetics, culture and the arts. It is not just a social gathering, but an appreciation of many of Japan’s arts and crafts; including ceramics, lacquerware, calligraphy, poetry, flower arrangement and many others. While also it has been said that “to study the Way of Tea is to study Zen”. 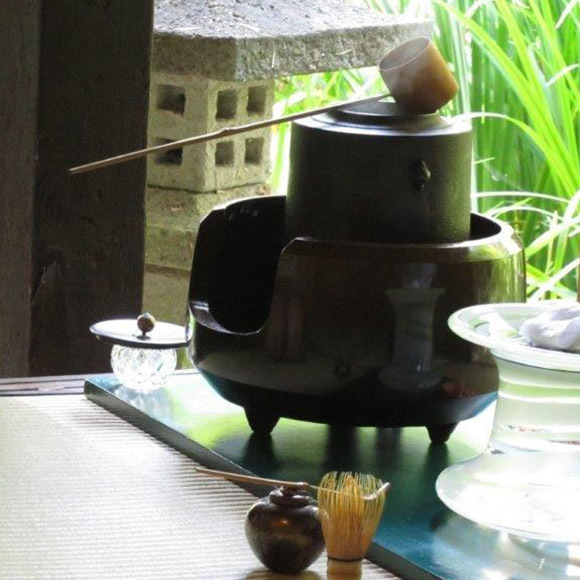 The Urasenke Sydney Association follows the centuries-old Urasenke lineage of tea masters, which is headquartered in Kyoto, Japan, and is the only Japanese tea school represented outside Japan. Urasenke has 107 associated groups overseas. The Sydney Association was founded in 1973. Sydney has several tea teachers with their own groups of students, who meet regularly and also come together for events during the year; both public demonstrations and member-only events. The teachers are authorised to approve certificates from Kyoto for their students. And give regular lessons in several locations across Sydney, as well as in Newcastle, Dubbo and Canberra. The Association has more than 80 members, who are from a diverse range of backgrounds in terms of nationality, age, occupation and religion. 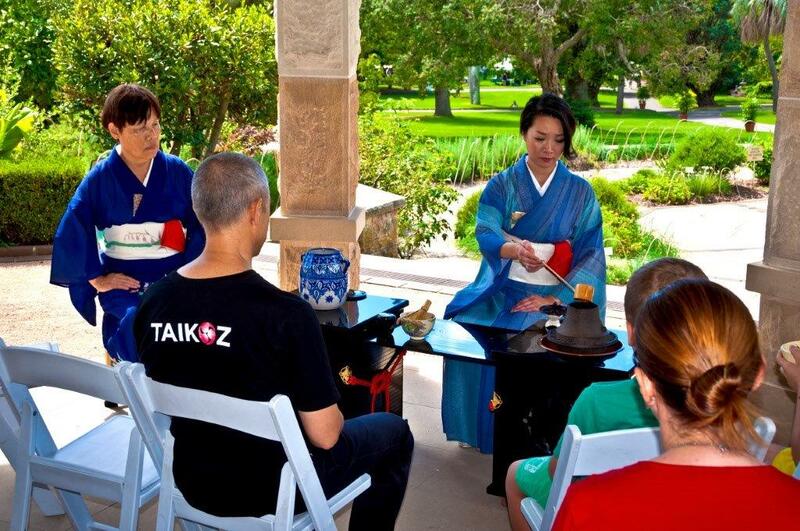 It promotes an understanding of traditional Japanese culture, and encourages mutual cultural understanding. The Sydney Association was incorporated in 2010 and now supports other Urasenke groups in regional NSW, Brisbane, Melbourne, Canberra, New Caledonia and New Zealand. 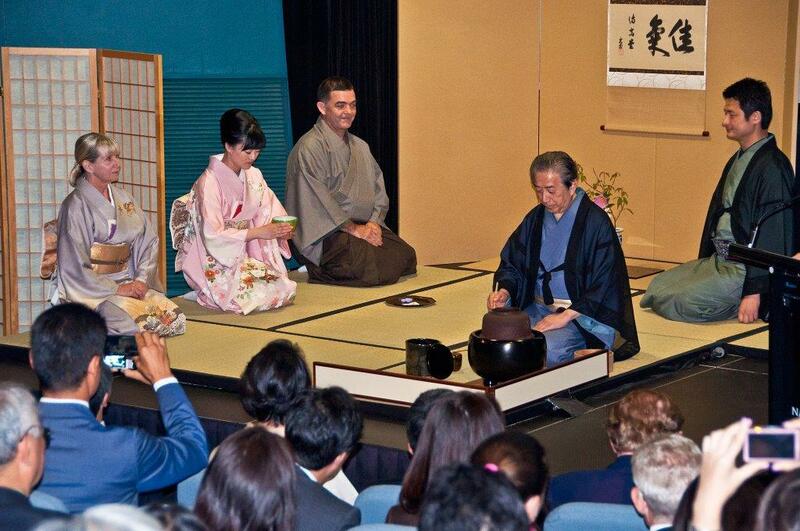 Tea events have been held at the Art Gallery of NSW, the Museum of Contemporary Art, The Royal Botanic Garden Sydney, and the Japanese Embassy; as well as at schools, trade exhibitions and for companies. In 2013, the Association was included on Australia’s Register of Cultural Organizations, and endorsed as a Deductible Gift Recipient, which means that donations are tax deductible.